Stefan Nestoroski was born 1992 in Struga (Macedonia), and started playing accordion at age of 7. 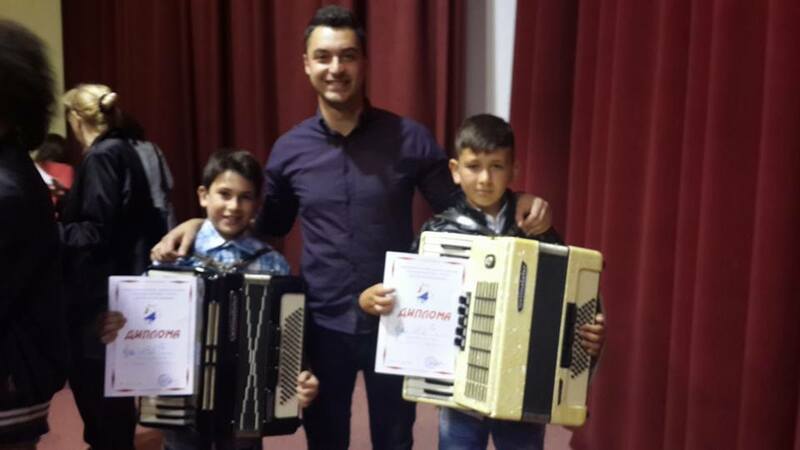 He was studying accordion performance at Music High School DMU “Todor Skalovski – Tetoec” from 2007 to 2011. He continued the accordion performance studies at Academy of Music, Dance, and Fine Arts, Plovdiv Bulgaria and graduated in 2015. Despite classical and variety music, he was studying Bulgarian folk music as well. From September 2015 he is an accordion teacher in Music High School in Macedonia. I am professional, friendly and patient accordion teacher. I can offer you lessons for classical, variety, and traditional folk music from Balkan - Southeast Europe (Macedonia, Bulgaria, Serbia). I have experience of teaching children and adults from all ages. I never thought an online lesson would work as well as a live lesson but I was pleasantly surprised with my lesson. Stefan is excellent teacher and I highly recommend him to anyone who is looking to take lessons. First at all I am recognizing his level of playing on the instrument. I am accordion teacher in music high school in Macedonia, Europe. I have 2 years experience. I love accordion, and I love to teach. I have expereince with teaching children and adults of all ages. The graduation concert of the students in the school where I am teaching. Accordion is mainly classical instrument. It's not so easy to play an accordion. There is a lot of people who are teaching accordion, but not on the correct way. When you are searching for accordion teacher, try to looking for a teacher with an experience, and teacher who was stydied accordion on the Academic level. Every student is good to have some new ideas, plans etc. But always should to talking and have a consultation with his teacher.